Why do so many people buy from Crystal Sports? 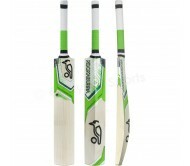 · We have one of the largest and most comprehensive ranges of cricket equipment available. · Our prices are extremely competitive. · We have an excellent “after sales service”. · We offer a range of products of the highest quality at the most competitive rate. · 100% customer satisfaction is our motto. Costumer Service is at the forefront of our business, and is a key in enabling us to retain our position as Consumers’ Champion.